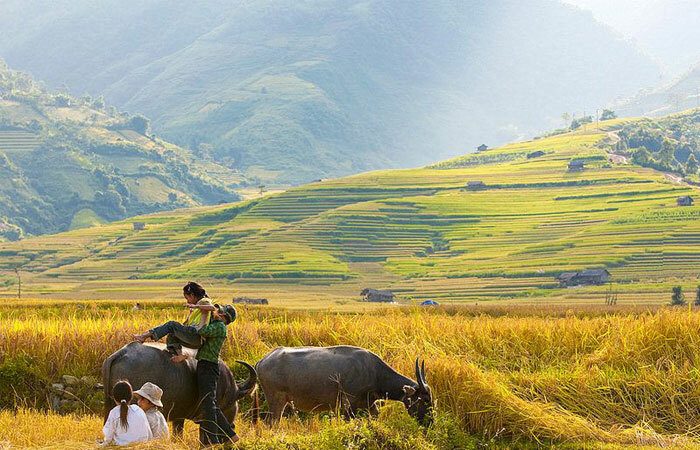 Despite being a remote province, Ha Giang still wins the hearts of travel lovers with the majestic beauty of mountains and forests in Tay Bac and it comes as no surprise that tourists are enraptured by its natural charm in 4 seasons. 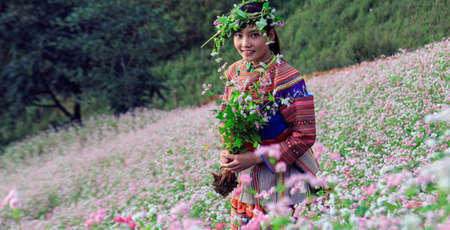 It is often said that September and October are the best time to visit the remote land of Vietnam when all the rice fields turn to golden yellow and buckwheat flowers bloom brilliantly. 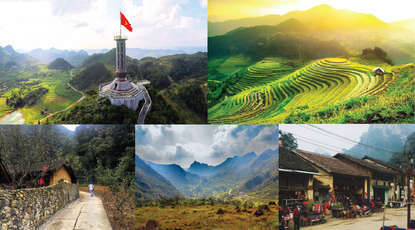 However, Ha Giang also attracts visitors with 4 seasons's special features all year round, especially with its spectacular scenery which evokes a roller coaster of emotions in many tourists. 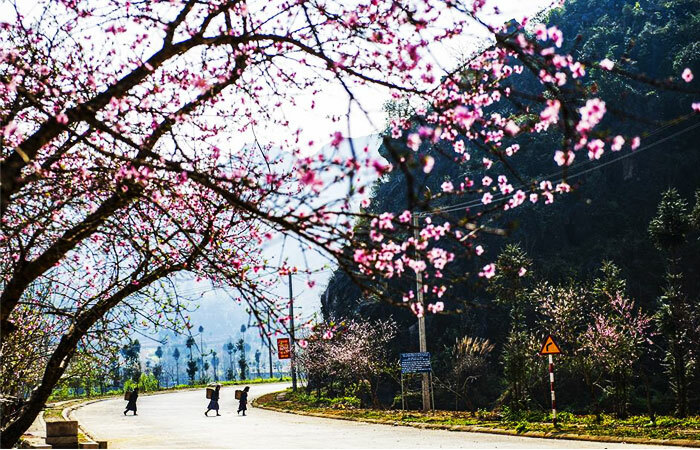 When spring falls over, Ha Giang dresses up itself with the lively color of cherry blossom and cauli flower, under the sungshine, everything shines brightly. 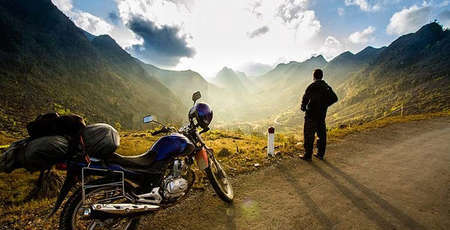 March is always consideres as the most beautiful time for a trip to Ha Giang especially for young people seeking for the unique photoshoot. 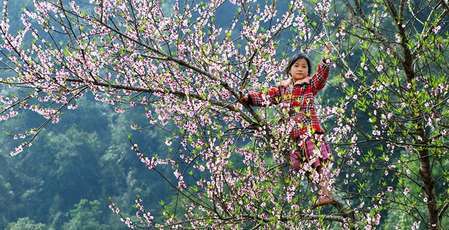 More over spring is also the season of ethnic minority's festival. 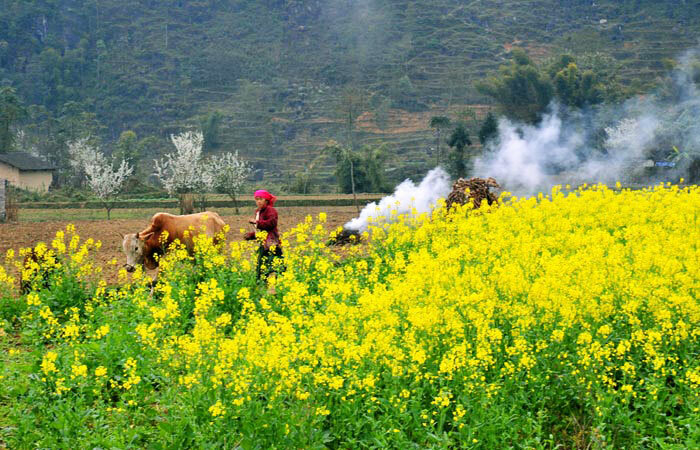 Visit Ha Giang during the first few month of the year, you can have a chance to immerse into the festive atmostphere, joining in many exiting game and tasting different local specialties of the highland. What can be more interesting rather than letting yourself living the authentic moment in this majestic and poetic land. What's eye catching in April? 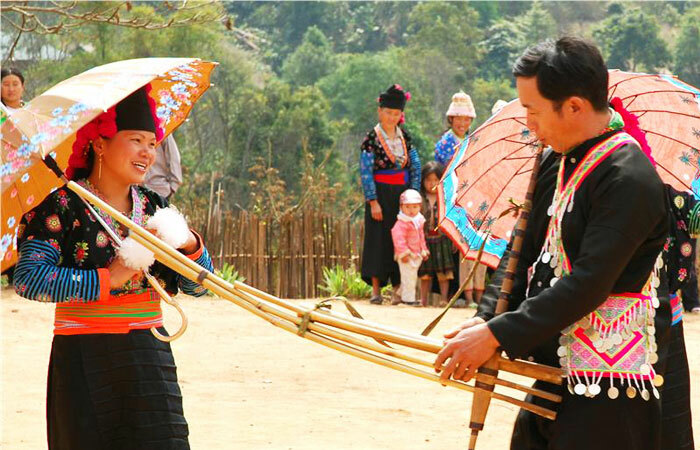 A trip to Ha Giang this time of the year will offer you a unique chance to join the once a year festival – Khau Vai love market. You will indulge in festive atmosphere and the image of boys and girls chatting and sharing love. “Pouring water season“ falls in May and June of summer. The breathtaking view of incredible terraced fields where water from falls flows down will for sure blow your mind. Water overflows look like a beautiful giant new coat covering the fields and this is also the time when people start bustling down the field to prepare for a new crop. 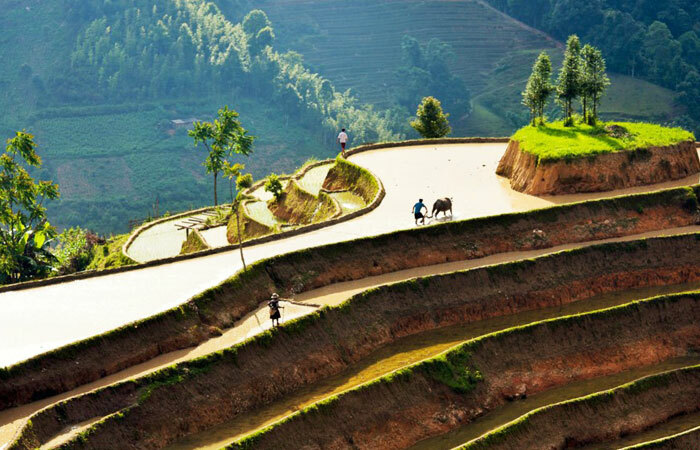 Ha Giang is home to many beautiful terraced paddy fields and a must–go place to road tripers when Autumn comes. That is the time when all the rice fields turn golden yellow. In addition to enjoying beautiful scenery, visitors also have the opportunity to enjoy delicious food and cultural beauty to celebrate the harvest season. Especially this is also a chance for visitors to see buckwheat flowers blooming brilliantly in early season. 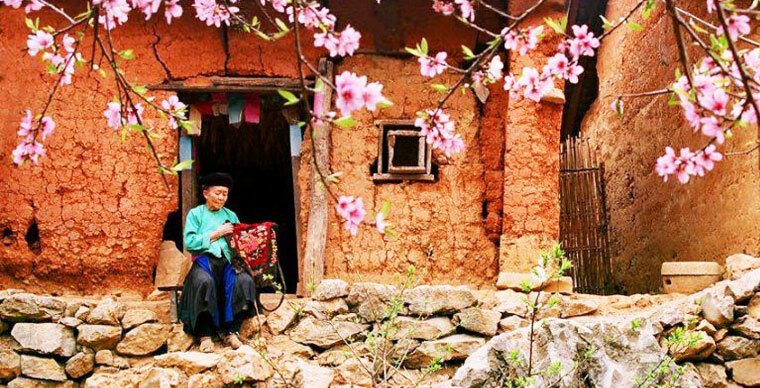 Autumn is considered the season of love in Ha Giang. The weather there is as nice as can be and suitable for an exploration trip. It is not too cold or too hot and makes people feel comfortable with gentle wind gently caressing wind and sweet sunshine. 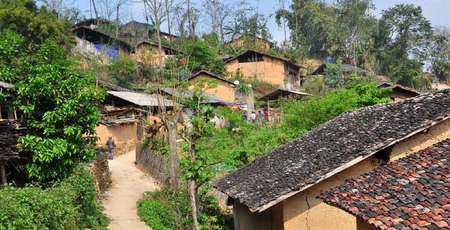 Also, the scene of smoke going up from chimneys stirs up gentle sadness in many tourists and that is the genuine beauty of Ha Giang. What’s special in October? This is the time when buckwheat flowers blossom all over the hillsides and the foot of the mountain is filled with beautiful purple. After that comes the season of spectacularly yellow cauliflowers. Blooming cauliflowers spread out a kind of romantic yellow color that is incredible enough for you to take thousands of check-in photos. You will feel the biting weather of this land touching the mist beneath the mountain slopes and foot of the mountain and feel the gentle warmth of local people. 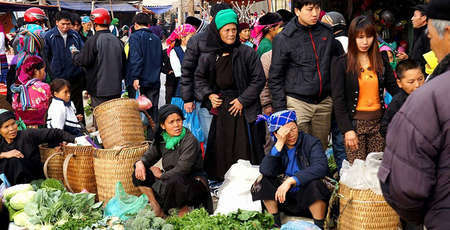 Plus, winter is also a great season to enjoy specialties of Ha Giang: thang co soup, smoked pork, au tau porridge, etc. Sitting in a small street shop to catch the sound of wind and enjoy the taste of hot pot or porridge together with hot spicy corn wine is the unforgettable activity to experience in Ha Giang.